Ole Dysjaland has done research with a Mibrasa – a Spanish charcoal oven – in his own garage for years already: “I love the delicious, smoky flavor it gives,” he says as I bite into the cheeseburger he just served me. 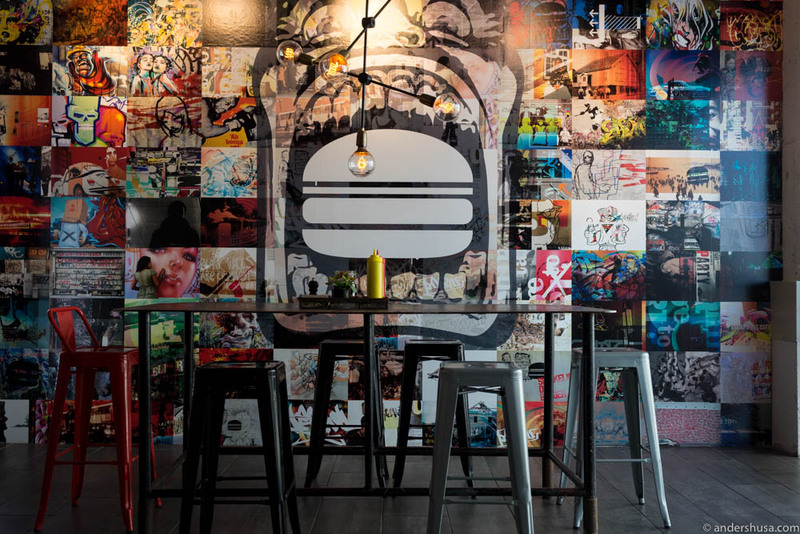 On January 14th, Dysjaland opened Hekkan Burger in Sandnes – that’s my old home town! “A burger should be easy to bite. Ideally, you can hold it comfortably in your hand, and you shouldn’t need a knife and a fork,” Ole rightly claims. 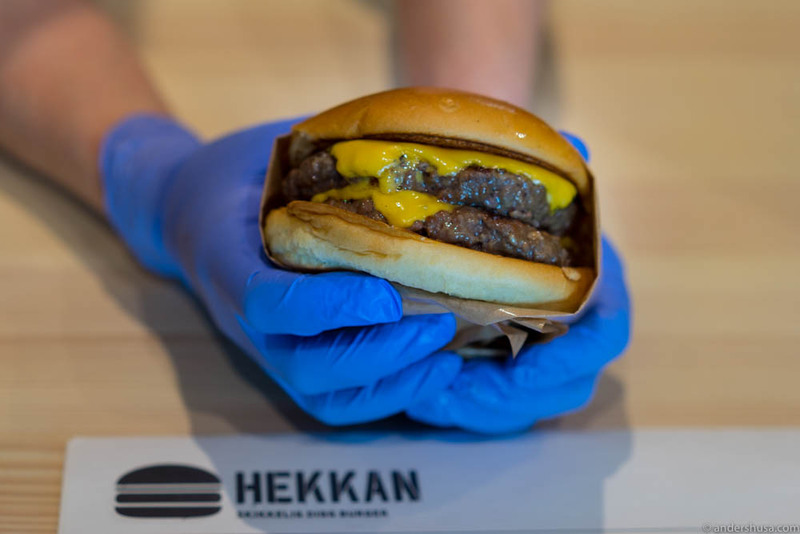 Hekkan Burger has gone back to the basics in their search of burger perfection. 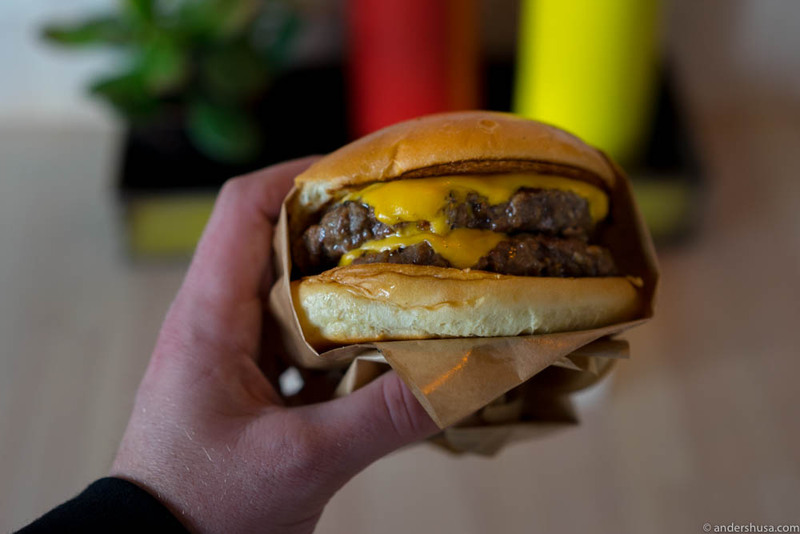 Cheeseburger is one of five burger options on the menu at the moment, and to me, that’s the original burger. No. 1 is called the Burgler, and is what many will consider a classic, with tomato, red onion, lettuce, cheese, mayo, ketchup, and mustard. “We are not innovative or extreme. We’re just trying to bring the burger back to what it’s all about: meat and bread,” the burger entrepreneur explains. 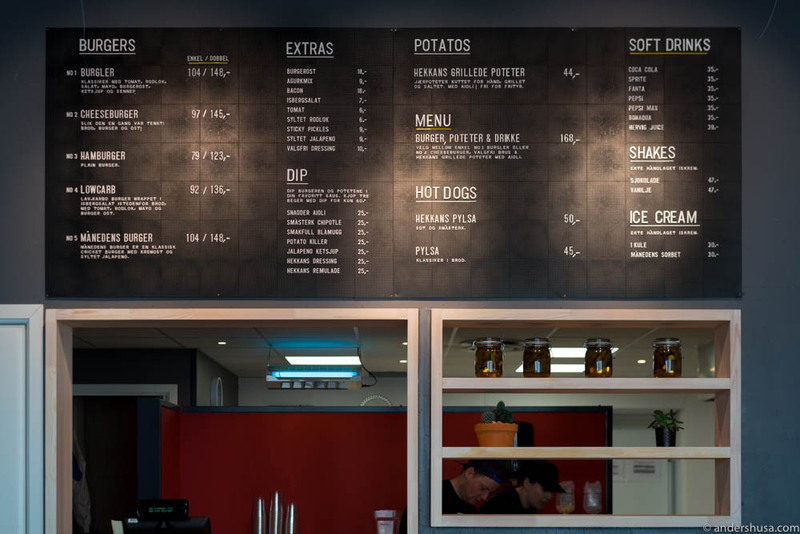 “There won’t be any tall, restaurant style burgers here.” Although the burger options are limited, you can choose to add other stuff if you want. Extras like lettuce, tomato or bacon are available at prices ranging from NOK 6 to 18. The bun is a cooperation with Rune Valskaar from Sandnes Bakeri. “I told him I wanted a bread as tasty as a brioche, and as springy as a potato bun,” Ole says. 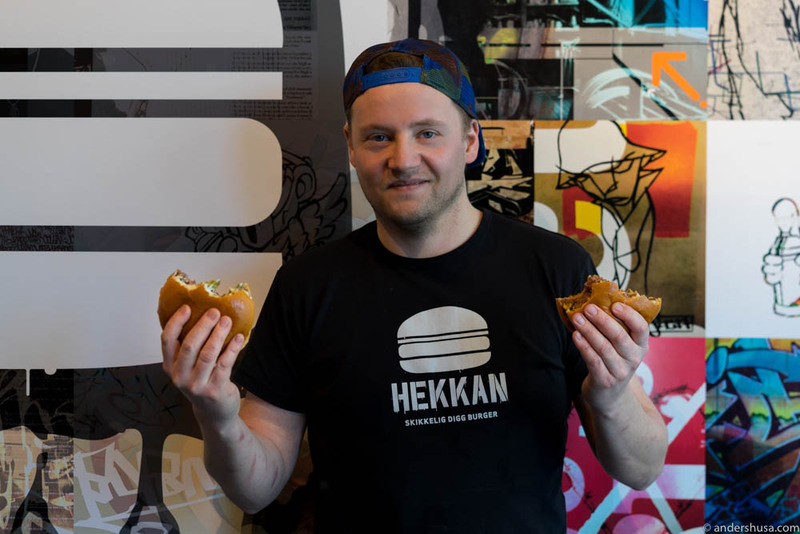 The first bun Sandnes Bakeri came up with had a nice flavor but didn’t fit Hekkan Burger’s philosophy. While Dysjaland wanted it all natural, the recipe was closer to a laboratory process. The challenge was accepted by Sandnes Bakeri, and together with the national bakery team, they developed a new bread that only contains fresh eggs, real butter, salt, sugar, water, flour, and yeast. “Sourdough bread isn’t that good for burgers, I think. It tends to get too crispy and also it’s very filling,” Ole is quick to add. My cheeseburger cost NOK 145, but that’s because I got a double. The single is NOK 97, and if you can do without the cheese, a regular hamburger will set you off only NOK 79. 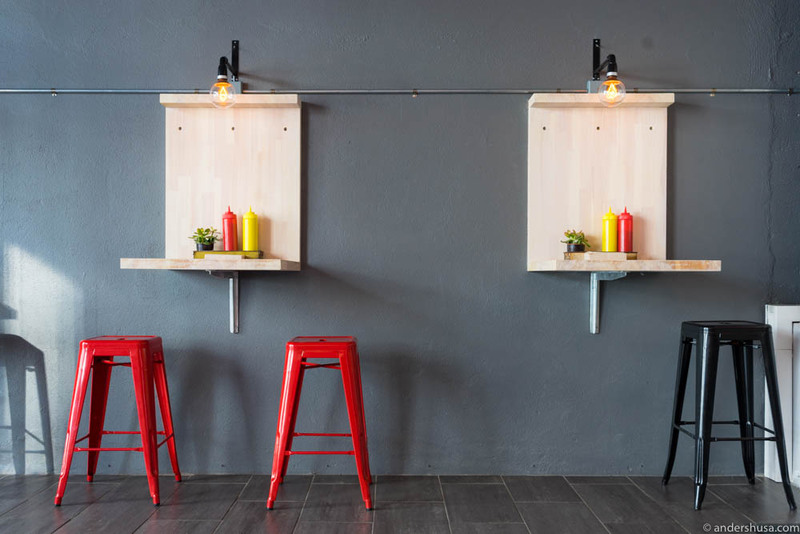 That’s a nice price – a good burger shouldn’t cost a fortune. “What’s the burger of the month?” I ask. “Cream cheese and jalapenos,” Ole answers. “There’s a burger place in Denver called Cricket burger. Their signature burger has cream cheese and jalapenos. 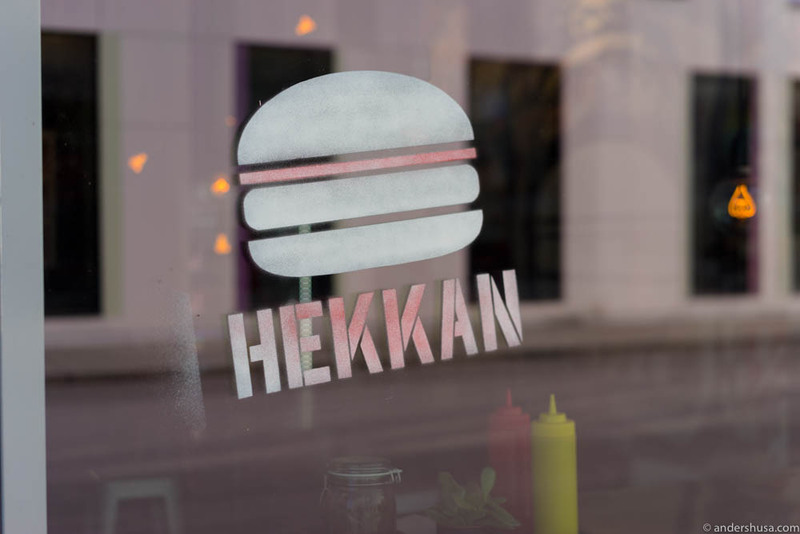 The Americans love it!” Suddenly we are on the topic of burger places around the planet, and I wonder from where Hekkan Burger has gotten their main inspiration. “The potatoes,” I’m about to ask the burger prince, “they’re inspired by Illegal?” Dysjaland smiles: “That’s an idea we stole, yes. We wanted a healthier alternative than fries.” I appreciate his honesty, but I am not sure I believe the reasoning behind his choice. Surely, the flavor and texture of the Illegal Burger potatoes are what makes them the best out there. Grilled inside the Mibrasa oven – just like the burger patties. Hekkan Burger has copied them quite well, but they need to be just a tad more crispy, in my opinion. I take a big slurp from my milkshake. It’s delicious too. “Ice cream from Il Gelato, I’ve heard?” Ole confirms that the small ice cream producer from Egersund is indeed involved. They were nominated among the best candidates at Gladmaten food festival both in 2015 and 2016. Lastly, Ole reveals that his goal has always been to expand. Sandnes is just the beginning. 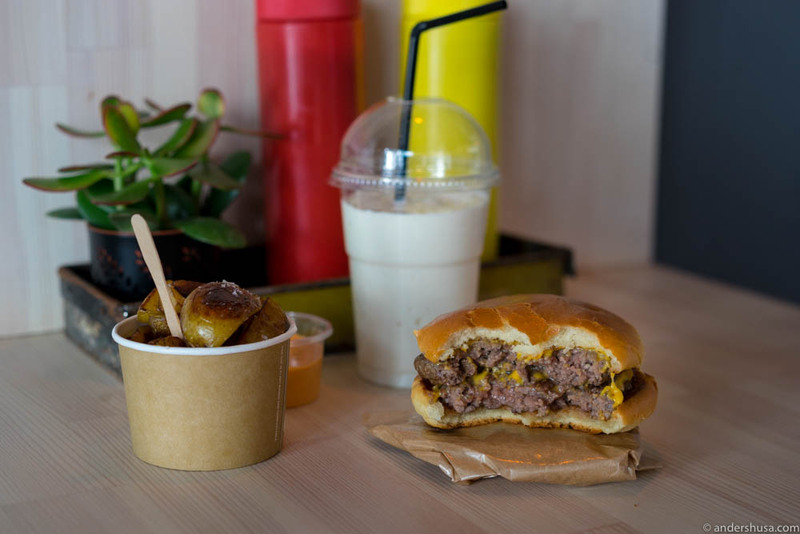 Stavanger and Haugesund are the next natural steps if Hekkan Burger becomes a success. 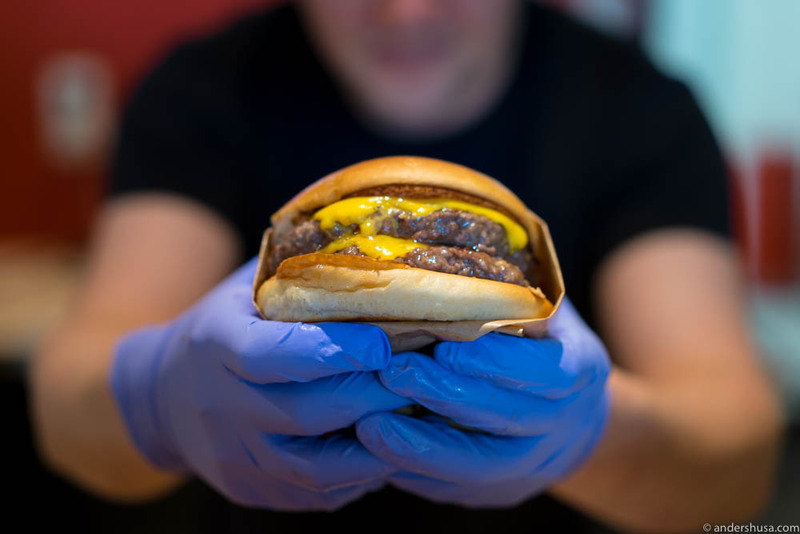 I can see no reason why it shouldn’t: The burger is delicious, the research is thorough, and the passion is real. 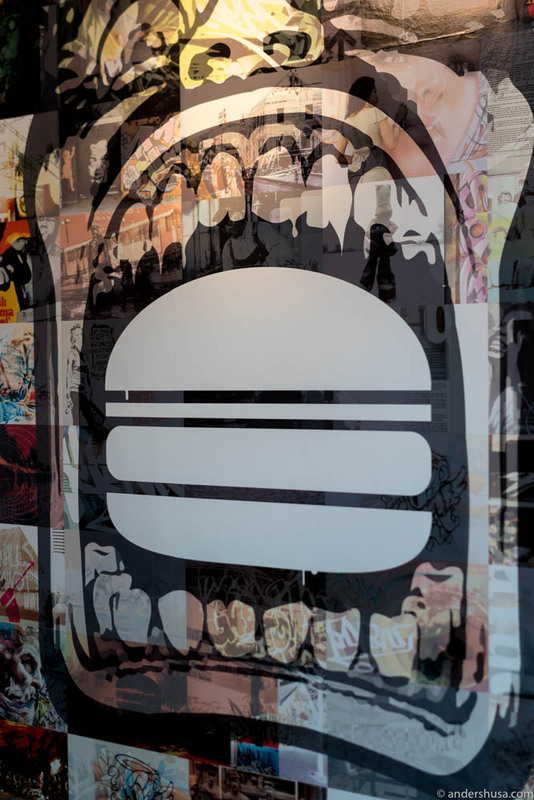 Hekkan Burger has created a burger that looks as perfect as the Big Mac portrays itself to be on commercial posters, but actually tastes of meat and smoke, and natural ingredients like egg and flour. It’s one of the best burgers in Norway and my undisputable favorite in Rogaland. I recently wrote about Gasoline Grill in Copenhagen. What’s your favorite burger? Please share in a comment below.